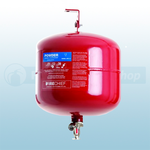 Available from Fire Protection Shop are a range of Automatic Fire Extinguishers in 1kg and 2kg slimline and 1kg, 2kg, 6kg, 10kg and 12kg fire extinguishers. 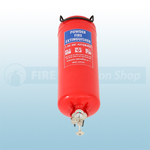 The extinguishers are ideal for tackling class A, B and C type fires. The extinguishers contain dry powder extinguishant which can tackle most fires that involve wood/paper, flammable liquids and electrical fires.